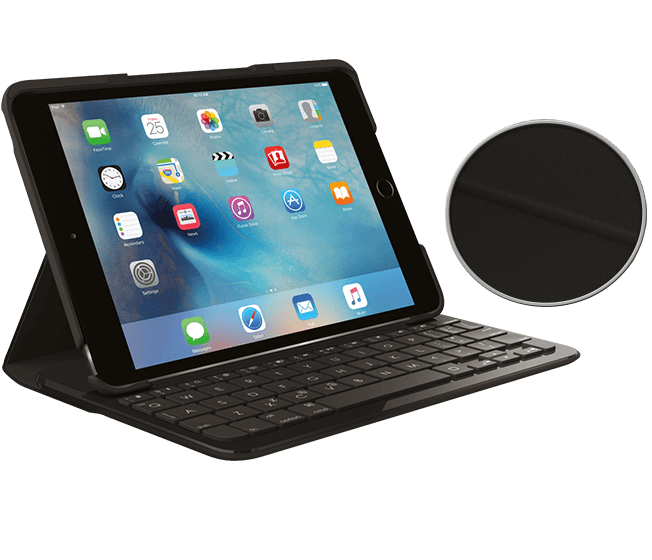 Turn your iPad® into a laptop. Concave keys are comfortably-spaced in a familiar layout. Includes a row for iOS shortcuts. iPad doesn’t bounce or tip when you tap. 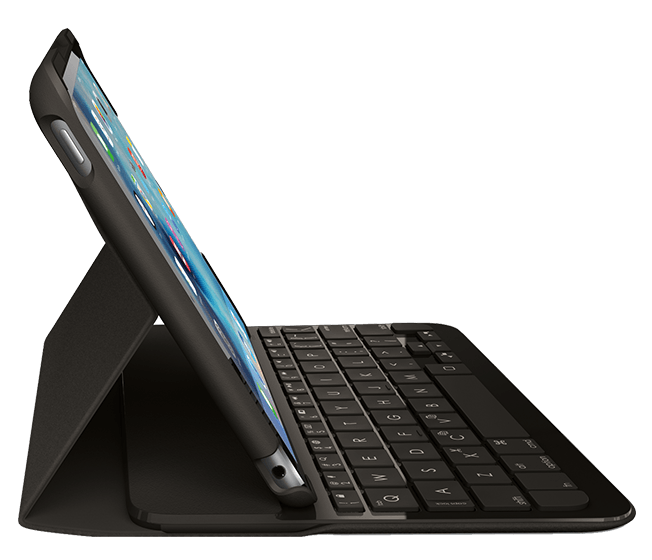 Keys have plenty of room, yet the screen is right at your fingertips for fluid use. 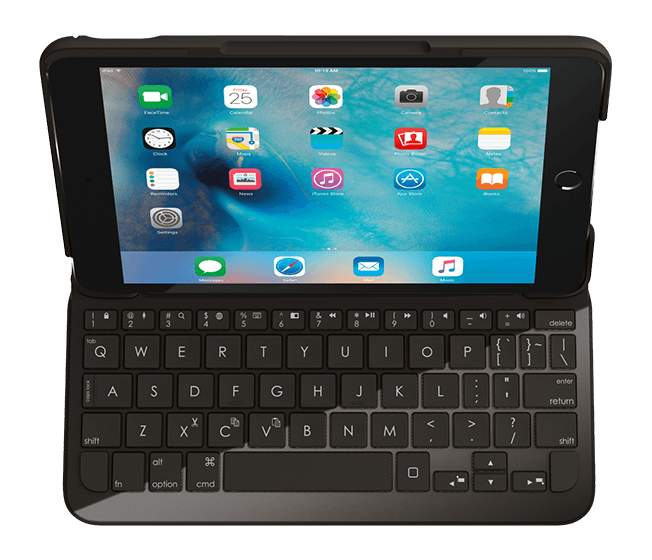 Focus is a mobile, Bluetooth® keyboard that provides lasting power yet conserves battery life. iPad and Focus both automatically turn on when you need them and off when you don’t. 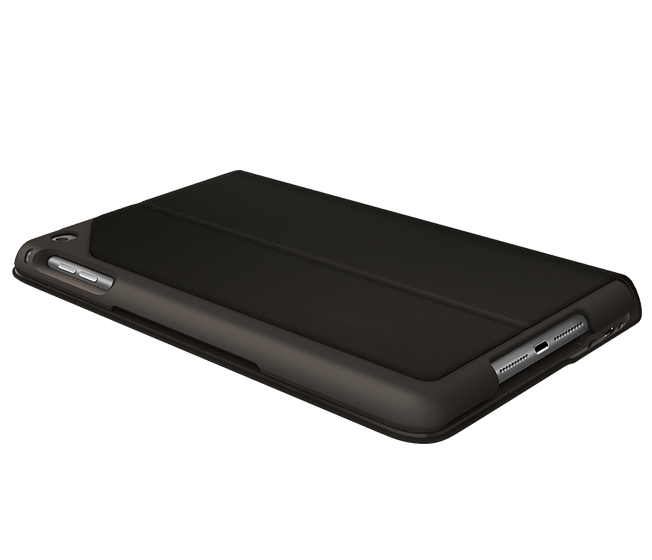 Incredibly thin and light, the Focus keyboard case protects against bumps, scratches, and spills. It’s a keyboard case when you need to type and a viewing stand when you don’t. Typing mode sets ideal viewing angle for both typing and screen interaction. Lay-flat reading mode automatically turns keyboard off.